We all agree that allowing for failure and growth and creating opportunities for students to be creative and innovative is essential to the development of their intellectual and moral character, of course. Now comes the hard part, if you’re a parent or an educator. At a primal level, we don’t really want our students to fail. Failure, despite all of its current good press, is often very painful. So how do we reconcile what’s in our heads and what’s in our hearts when we are dealing with young children and adolescents? First, we reframe our definition of “failure” and internalize the idea that failure does not have to be a catastrophic endeavor. Second, we scaffold these opportunities so that students develop resilience over time and do not fall apart the moment they encounter a challenge. 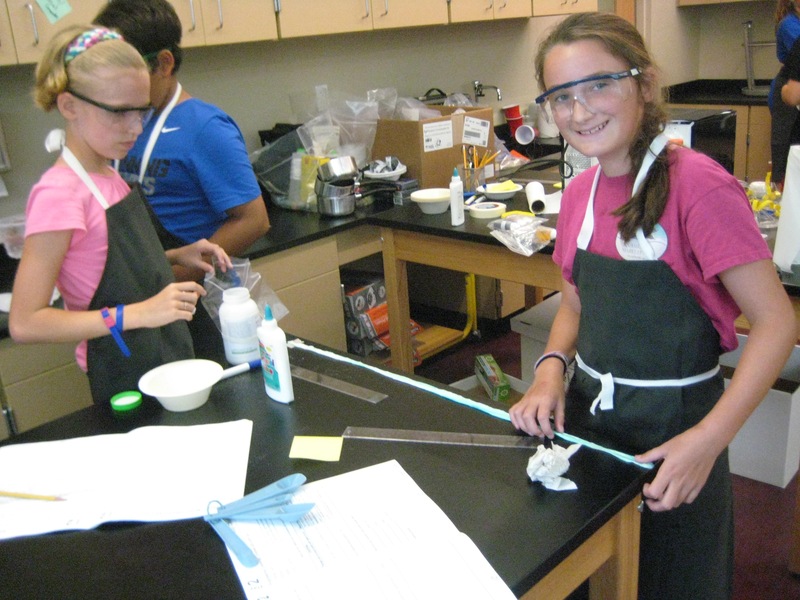 The sixth-graders’ recent STEM-immersion experience – a week during which they were encouraged to embrace failure and try, try again as they explored the world of bioplastics and polymers – provided exactly such an opportunity. The week-long chemical engineering workshop, developed by i2 Learning and researchers at Boston’s Museum of Science, challenged students to investigate, imagine, plan, create, test, improve, and communicate as they created bouncy balls, silly putty, and their own bioplastics. Reading the students’ reflections on their experiences was fascinating; they wrote not with frustration, but with joy about their failures and their perseverance when conducting attempt after attempt. Answer” to these children’s questions as they puzzled through their initial “failures.” Encouraging students to ask their own questions – guided by faculty who embraced the open-ended, inquiry-based approach of the week – was essential to developing their intellectual toughness and grit. Pulitzer Prize-winning historian David Hackett Fischer observed that questions “are the engines of intellect – cerebral machines that convert curiosity into controlled inquiry.” In keeping with our professional development focus on inquiry-based learning this year, faculty feedback about the program centered on the need to continue to provide opportunities for students to practice this “controlled inquiry” throughout their years at Langley, for them to formulate questions and tough it out with scaffolded teacher support. Such practice begins to impart to students that failure is not just okay, but necessary. The world will not end if something doesn’t go right the first time. When students push past that 10,000th try that “doesn’t work” and come up with their working light bulb, they will have achieved something personally and intellectually meaningful. And all of the failures will have been worth it. We are thrilled to be offering another intensive STEM week this year! Our fourth-graders will investigate the world of programming during their workshop, “Building a Friendly, Interactive Monster,” coming in January! 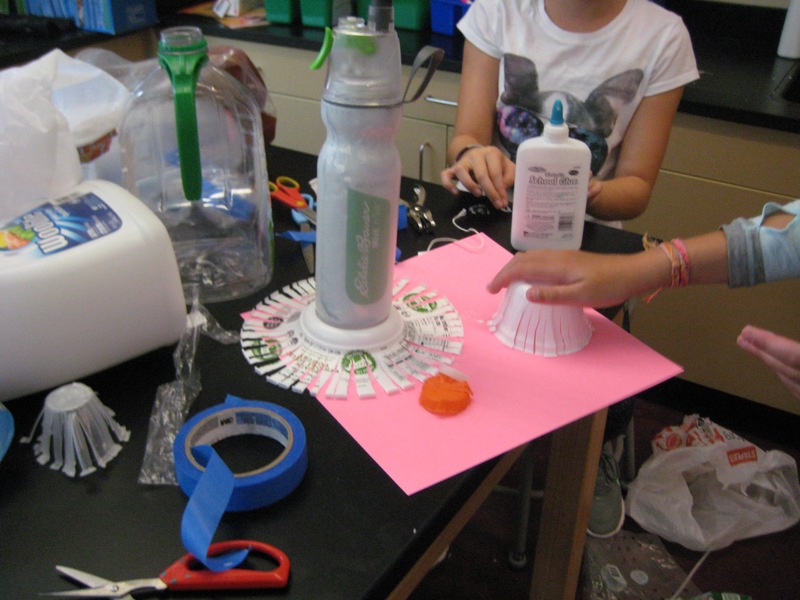 This entry was posted in By Kathleen Smith, STEM and tagged adolescents, bioplastics, chemical engineering, Creativity, Middle School, Sixth-Grade, STEM, technology, The Langley School, young children by langleyleopards. Bookmark the permalink.